Obtaining your New York mortgage license is the first step towards a fulfilling career as a mortgage loan officer in the amazing state of New York! Mortgage Educators is your full-service mortgage education partner, providing everything you’ll need to obtain and renew your loan officer license. Whether you are just entering the mortgage loan industry, or you are already licensed in another state, we have a mortgage education course bundle customized for your needs. The 20-hour course bundle shown below is intended for brand new loan officers, and will satisfy both national and state-level education requirements. The 3-hour course bundle is intended for existing loan officers new to New York, and will only satisfy the state’s laws and rules education requirements. To get started, order the appropriate mortgage education bundle today, or call us at (877) 403-1428 for further information. This course bundle is discounted for a limited time! Already licensed in another state? Get your New York license with this convenient course! Why Should I Get My New York Mortgage License? A career as a mortgage loan officer in New York’s fast-moving housing market can be exciting, fulfilling, and challenging. Many loan officers love the flexibility and daily changes that come with a career in loan origination. However, it’s not for everyone. To be successful as a loan officer, it takes perseverance, strong networking skills, and the constant desire to learn. If these sound like qualities of yours, welcome to your new career as a New York loan officer! Each state has its own unique requirements when it comes to mortgage licensing. To obtain your mortgage license in New York, you’ll need to complete 20 hours of nationally required mortgage education, in addition to 3 hours of New York laws and rules education. After securing your New York loan originator license, you will need to complete regular continuing education courses to keep your license valid. We are your one-stop source for mortgage education resources, offering all of the new license and continuing education courses necessary. Pre-license mortgage education requirements can be fulfilled in one of three ways; with an online instructor-led course, via a live webinar, or in a live classroom. We find that the majority of new loan officers elect for the flexible online course bundle, which consists of pre-recorded video lectures supported by slideshow presentations, and quizzes that ensure content retention. As you complete your mortgage education, we will report all completed hours of education to the NMLS. 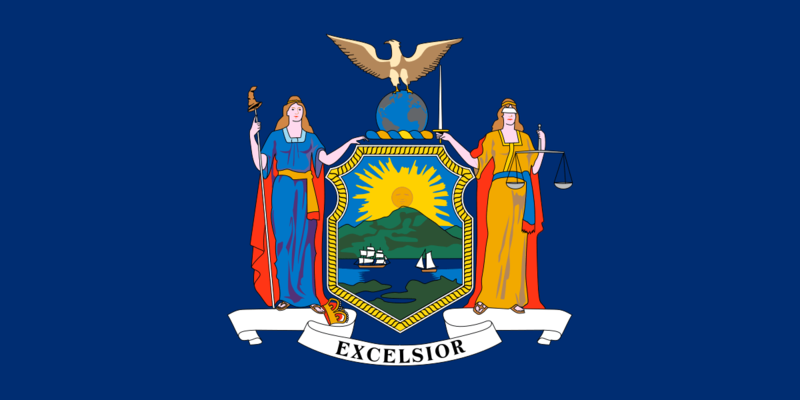 For more information regarding New York mortgage license requirements, click the link below. Oftentimes, individuals pursuing a career as a loan officer are directed to start with a New York mortgage broker license. While the terms “mortgage broker”, “loan officer” and “loan originator” are similar they are not synonymous. So what’s the difference, and which license do you need? Simply put, mortgage loan originators (“loan officers” for short) are employed by a mortgage broker. The loan officer license shown above will certify you to provide mortgage loans to new home buyers. We are eager to assist you with every aspect of your mortgage education. To determine which products are best for you, or other questions, please call us or send us an email today.